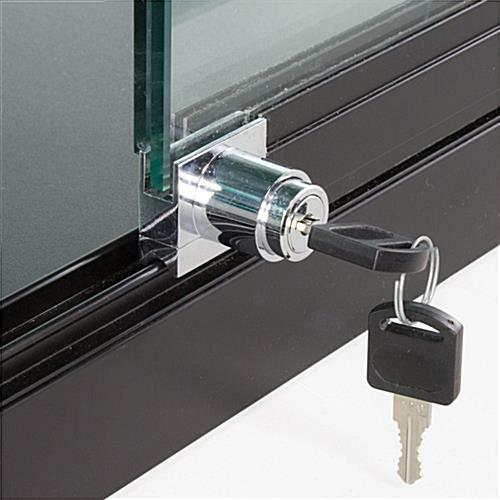 Double Z-bar mounting affixes the showcases securely to your wall! (2) 20-watt halogen top lights illuminate showcases' merchandise from above! 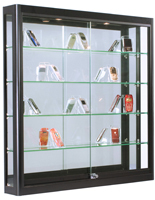 Extra-deep display showcases larger items than traditional 6" deep wall showcases! These wall showcases will be a great addition to your retail store or other commercial business. 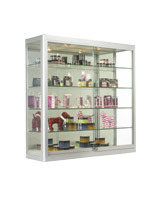 The showcases are designed to utilize wall space instead of using valuable floor space, leaving more room for the free flow of traffic throughout your business. 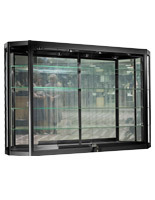 Floor-standing showcases can easily clutter up a retail store, leaving your patrons squeezing by the cases and each other. These wall showcases safely affix to your wall, where they can be seen without bending over or looking around other customers. 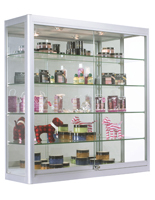 Wall showcases, also known as wall shadow boxes, will be a welcome addition to your retail store! 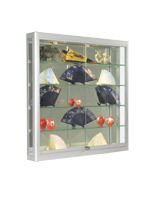 These shadow boxes, wall showcases are fully equipped with useful features! 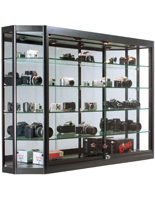 The wall showcases are crafted from durable, sturdy anodized aluminum, with full tempered glass panels & shelves. These wall showcases are extra-deep and feature fully height-adjustable, rubber-padded shelves to accommodate merchandise of varying widths and heights. 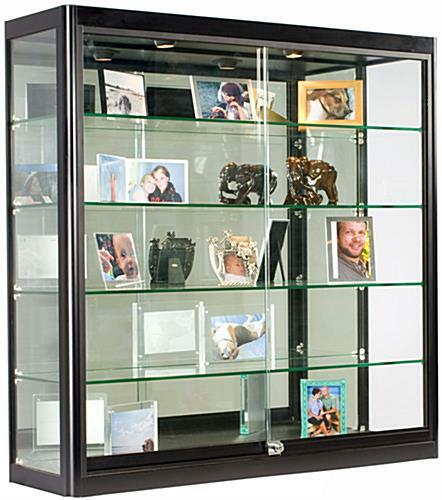 Two halogen top lights illuminate products like trophies, sports memorabilia, or jewelry from above. 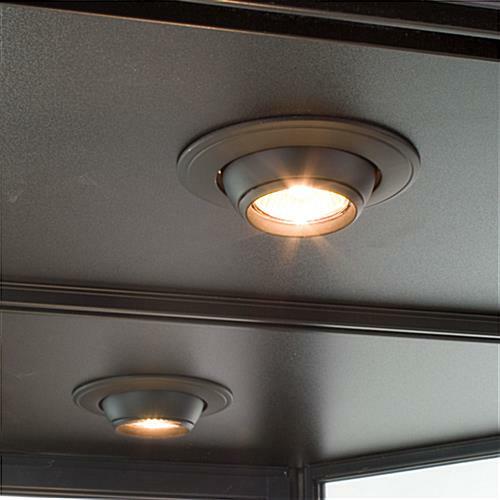 Adjust lighting within your wall showcases with the quick switch of an easy-to-reach on/off button. 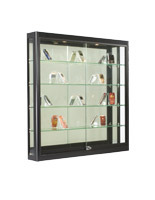 Wall showcases items are further highlighted by a mirrored back, and beautiful matte black finish. 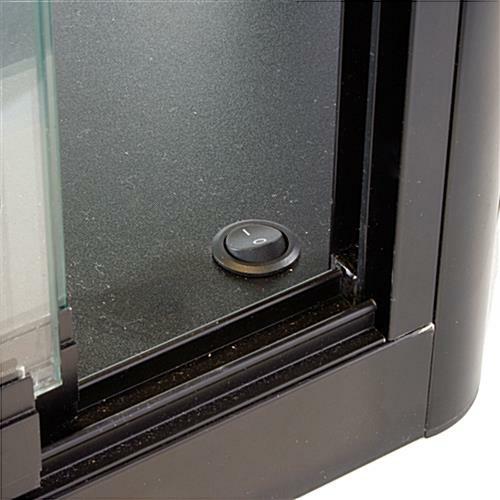 To keep items safe, these wall showcases are included with sliding, locking doors. These wall showcases ship fully assembled. Mounting hardware and Mounting Instructions. 39.5" x 39.5" x 11.5"
The case was delivered in perfect condition and arrived in a timely manner. It was well packaged and is a beautifully made case. My one complaint would be the delivery service. The delivery arrived in a semi-truck and I had to go to the street to get it. It's a good thing there were a couple of men in my office to help out, otherwise I might have been SOL. I came prepared with a dolly knowing it was going to be a heavy item (with packaging around 150lbs), but wasn't expecting to have to walk over 100 feet to get the item, especially paying over $160 for shipping. Love the quality of this display case. It had everything I was searching for in a display case and more. The depth of shelves is deeper than most cases and dimensions are perfect, and five shelves total space for items to display. Perfect wall mounting if you do not have the floor space to accommodate. The lights are bright and key lock works really good. We originally bought this item to go on wall, but instead have display on the floor and looks awesome. We are using it to display logo'd items in out restaurant such as mugs and t-shirts. All the different sizes fit on all the shelves. The lights shine down on the merchandise from inside case and also are cut through the top of case so that it also provides up lighting for wall space above the case.